Chocking experience, but the local experts is optimistic. We all know the pictures of the disaster from the press. If you want to look at smashed cars, knocked down houses and copses in terrible conditions, then we refer to this media. Below we don’t focus on the damage, but on what’s still in function and will be in function the nearest future. With all the respect for those ten thousands of people there lost there life’s and there families, this chapter in the dairy of nature history is passed. Experts all agree on that a Tsunami catastrophe is unpredictable, in the matter of the geographic area it will involve. The Bay Of Bengal and the Andaman Sea have never before been connected with a risk area to this kind of phenomenon. Although the situation at the west coast of Thailand are disastrous enough, the northern province of Aceh in Sumatra, India’s east coast and Sri Lanka seams to be even more worse of, because the lack of an effective infrastructure. Until this day we have received more than 900 positive reactions from persons, there have been locked in to this site and about whom, have followed the terrible events from there homes. A lot of those people have previously been to Phuket. 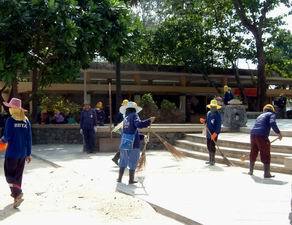 For them it is a great relief to get the fact, that not all areas have been equal hard hit and that the effort to get things cleaned up after all is high priority. Like a ship to be lost in a storm – then there again will be at time where the skies will turn blue. This fact that we have chosen to concentrate about. To you that might get the thought that the information published from this site should have an economic ulterior motive, we are proud to say, that you are completely right. There are certainly more than ½ a million people from South Thailand, for who the income and existence - direct or indirect, is depending of the earnings from tourism. 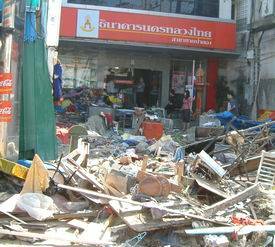 The best support you can give to the Thais, is to come back once there have been cleaned up. Like after a snow storm, sweeping and shovelling, - not snow, but sand. & his wife Pong had everything destroyed in there beauty saloon ”My Style”. To the left in the picture. Max & Pong still stay in our house. They now need to get a new front door to the shop as well as new equipment. 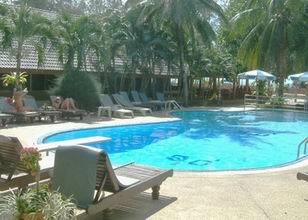 (Soi Patong Resort). About all the charter tourist has returned back home. They have now been replaced with journalists from every part of the world. 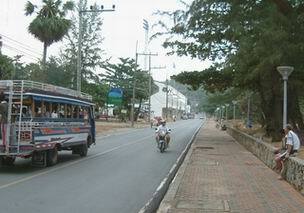 Patong Beach seen from the South towards the North. Shielding has now been set up between the Beach Road and the Beach Hotels. In the ground floor many of the hotels have to be renovated. Baan Boa Resort. Peter & Gitte Høstved from Denmark stayed here last year at the same time. They have asked in what state”There Resort” would be in now. Report from 28DEC04/day 2 after. Nobody among the international community we know of (expats or long time stayers) are missing. The sea waters made damages from the beach and 150 meters inland. Our office and home is about 1 KM from the beach, so we didn’t get a drop. The atmosphere is calm, although we se more people in our part of town than usual, because we are situated at the base of the mountain. Report from 31DEC04/day 5 after. 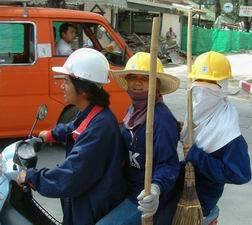 The clean-up phase is at it highest and the workforce is on duty day and night. 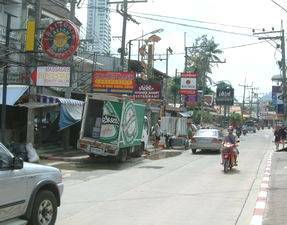 Several of the side streets to Bangla Road are cleared and yesterday the electricity came back to functions. Some restaurants and bares have already reopened, just like some of the merchants have set up stall on the beach road again. Report from 04JAN05/day 9 after. The day’s situation is that 80% of the scrap and rubbish have been collected into piles elsewhere. The side streets (Soi’s) are also for the greater part cleared. Craftsmen have started to re-establish the interiors of partition walls, ceiling plats and wainscot ext. in a lot of the stores that was damaged. There are still remaining a lot of buildings, which are so damaged that they have to be torn down for rebuilding. About the 14JAN05 there will be no more pills of rubbish in Patong. 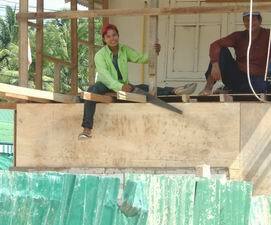 The reconstruction of the damaged building could take from 2 to 9 month. 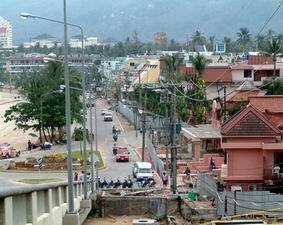 Remember only the beach road area is involved in the damage, not the whole town of Patong. Report from 05JAN05/day 10 after. Today in Phuket Town a memorial ceremony was held at the local football stadium and in Patong the day was appointed “The Big Cleaning Day”. Volunteers in the number of thousands took a day of to help clean up remaining bits. Chinese on charter holidays have not been called back to there home land, but was encouraged to participate by there government. Patong Beach is now full with journalists from every part of the world and in the day time they are busy with interviewing people about there traumatic story of the 26DEC04 and taking shots of the remaining ruins. After dark they get drunk and behave like tourists. Report from 07JAN05/day 12 after. Some people might have that believe that, everybody walks around depressed on the island. This is however by no means the case. People, - Thais as well as foreigners once again are ready for a joke and a laugh. The everyday life continues like before 26DEC04. The only different is that the charter tourist has left and there is no problem in at the beach finding a nice place for your towel to lie on. After the 1. of February the big travel agency’s will start to bring there clients back to Phuket again. Report from 17JAN05/day 22 after. The Beach Road is continually very quiet after dark with only a few places open. Many of the resorts facing the beach are now using this opportunity to have already planed improvements taken place. The famous Disco Banana Club reopened yesterday. However one can not say that everything is back to normal, before “Elvis Presley” is back on stage at the fish restaurant. On Bangla Road there is no change form before the Tsunami. Loud music and girls are welcoming everybody passing by. 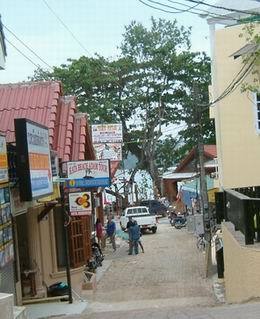 4 to 5 shops nearest the Beach Road, still needs to be repaired. 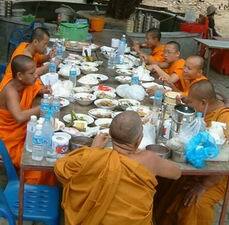 At the end of Bangla Road, the parallel street, Rat-U-Thit 200 Pee Road has got a boom with a lot of evening visitors. 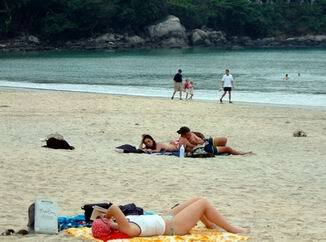 During the day the beach is visited by the sun worshippers. There is a debate going on about the deckchairs. Should they - or should they not be allowed back. 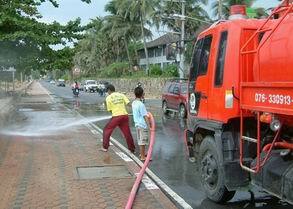 Here the cleaning phase is almost brought to a holt, but this area was also less hit than Patong Beach. The army participate in the re-establishment. The beach is cleared for rubbish and people are swimming in the ocean, although the beach chairs and umbrellas are missing. 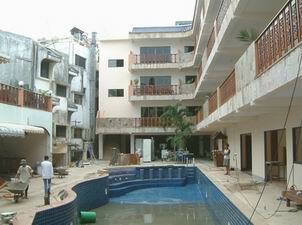 Many of the front line beach resorts have received only minor damages in the form of sea water in the swimming pool. 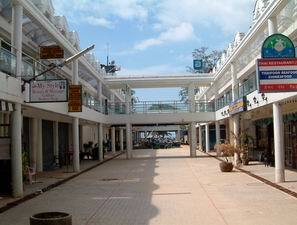 The small shopping complexes at Karon Centre and Kata BBQ (across from Tropical Garden Resort) seams ruined. Report from 01JAN05/day 6 after. The tailors and restaurants in Karon Centre have been visited by the glazier and all the broken windows have been replaced. The tailor shops ones again have the dummies standing in the windows and the shelves are again full with new garments. The pavement café and the small bank branch are operating as well. At Kata BBQ the rubbish is cleared away and the rebuilding of the restaurant can take place. Report from 13JAN05/day 18 after. It is hard to believe. The day’s inspection to places that have been followed continuously since the big wave hit, showed that the majority of all repairs is about to be finished and that even more people now is using the beaches again. The sundeck chairs and umbrellas on the beach however, are still missing. Kata BBQ, the neighbour restaurants and the dive shops, got more than 50 workers employed to finish up the reconstruction. When this is all over in about 1½ month from now, the beach front architecture in the Southern end of the beach will appear more homogeneous. 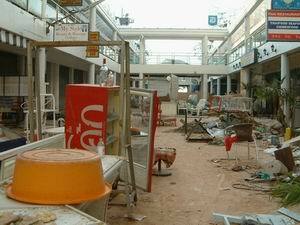 (6 days after the Tsunami). With a certain shame one has to admit, that the beach road has never before been as clean as now. 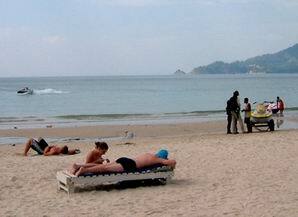 Kata Beach – Some people would say, that the beach looked better with all the deck chairs, but not everybody. Kata main street have not at all, been involved in the flood wave. The well known restaurant down by the beach is now being rebuilt. All tough not finished the restaurant is actually serving meals again. At the marina in Chalong, you won’t find any unusual to look at, except from the wooden pier finaly came to a holt. But this old pier was so tumbledowned that a sign for the last year have been worning people to enter it. The Kamala Beach area have been hit very seriusly. 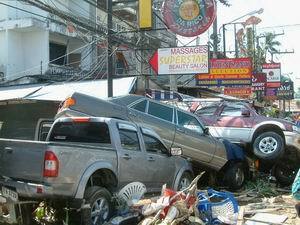 The destruction go’s mush furter inland than in Patong Beach. 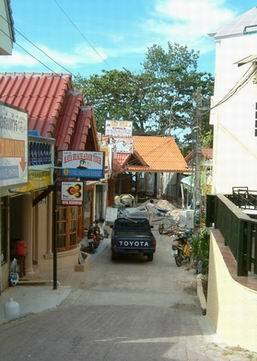 It seams like that the only low land property, there have not been efected is the famous Phuket FantaSea. The Thai’s is convinced that the many elephants this place have in there stabels is to blame. They have the reputation of protecting and bringeing luck. Report from 06JAN05/day 11 after. 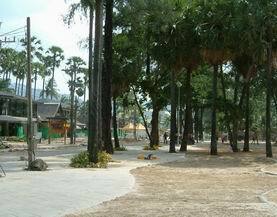 Kamala Beach Hotel & Resort will be operational again on 1st of March 2005. At present, should your clients wish to spend their holidays here in Phuket, we will be delighted to accommodate them in two (2) of our sister hotels, Best Western Phuket Ocean Resort (from present – onwards), and Best Western Premier Bangtao Beach Resort & Spa (from 1st February - onwards). No damages to be mentioned. The bamboo build restaurants at the beach have not been hit. New deck chairs and umbrellas were set on the beach today. 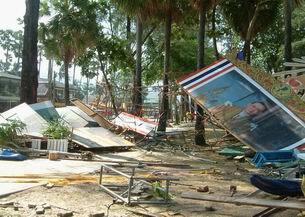 The mangrove forest is intact and The Phang Nga Bay Resort Hotel is not damaged. Our Swedish friends say’s everything looks normal here. All our guests avoided any major injuries from the flood wave. After this incident our staffs has worked hard to restore the damage that occurred to the restaurant, kitchen and the ground floor rooms in the Coconut-wing. The hotel is now reopened and all income from tonight’s New Years Gala Dinner will be donated to the victim fond of the Krabi area. Report from 03JAN05/day 8 after. On our way to Ranong we passed Khao Lak. That was a discouraging sight we meet here. As referred to in the press, the destruction is almost total, except for those higher levelled areas on highway #4. The highway it self is intact, but a lot of the newly build shop houses on both sides of the road, have to be rebuild. Certain places you are now able to get a view direct to the ocean from the highway, because trees have been laid flat down with the root system above the ground. A long the rest of the 270 KM drive to Ranong, there were no signs of disturbance, like the city of Ranong have not felt anything. An unbelievable tragedy has been played out here. At Tonsai en the south of the island, the coast is low and narrow. However the ferry to the north part of the island is sailing again. 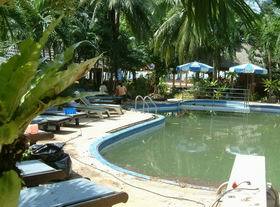 Phi Phi Natural Resort among others is up running again. 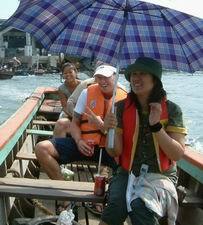 Since 31st December Day Trip Tour to Phi Phi Island. Andaman Wave Master operates every day and stop Leamtong Beach for program. Report from 02JAN05/day 7 after. The National Marine Park Authority has reopened the dive sits at Similan Island, after this area was shut down after the Tsunami. 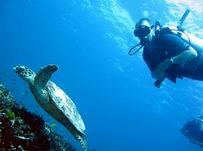 Jette & Allan from Denmark has after well considered thoughts joint in with a Live a Board to Similan Island 3 days/2 nights. They will return on 06JAN05 in the late afternoon. We will publish there statements about the dive locations. Allan & Jette Allan.Nielsen66@skolekom.dk from Denmark has been the first leisure divers to report back from LIVE A BOARD to us. There evaluation is better than even anybody would have dreamt of. The crew, dive masters and the under water adventure could not be praised enough. 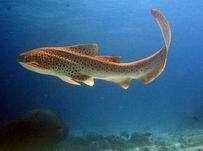 The visibility and the marine life were fantastic and the dive sits didn’t at all show damage on the corals or reefs. Report from 19JAN05/day 24 after. We just came back from a fantastic tour. It was even better than we had expected. 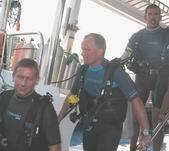 The vessel, the service on board and the dive sites can only be recommended enough. We saw some broken corals but they where fare away from being destroyed. One feather seems once again, to have turned in to a whole chicken farm. 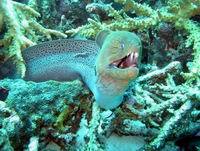 Malicious tongues say that the rumours have been started by dive shops operating on Koh Samui and Koh Phangan. 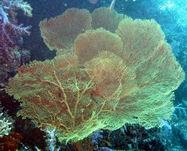 The fact however is that only a few (not all), of the high levelled coral reefs have been damaged (not destroyed). The dive sits of The Similan Marine Park have already been inspected by the authority’s how found the sits once again suitable for commercial diving. Of course no company will anchor-up by any of the damaged reefs. Here after we see no reasons to advice against diving at Similan Islands. Wild Kingdom Tours Co. Ltd. is a legal registered agency in Thailand how will recognize recommendations there have been expressed by foreign industrialised health ministries and ministry of foreign affairs, provided that the responsible Thai authorities agrees on these countries documentation. In the relevant case the Thai authorities have inspected reef locations and been advised by experts, that it is a responsible decision to open the dive sits again. WKT have fully the fate that this is well considered by the authorities. 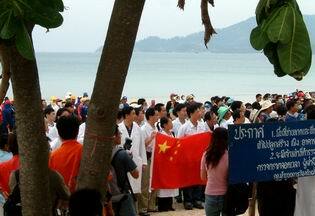 About disease spreading in the Khao Lak area. No case has until this day been registered. 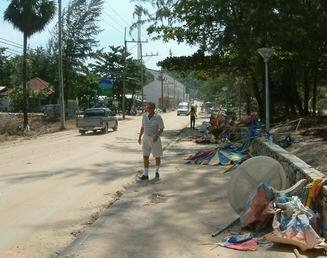 Highway # 4, that runs pass Khao Lak has been opened for public thoroughfare. WKT have fully the fate that this is well considered by the authorities. Report from 30DEC04/day 4 after. 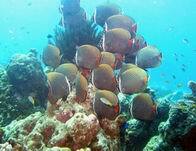 Today the snorkelling adventures to the coral reefs at Koh Ha, Koh Bon and Koh Kai has been opened again. These locations have always been popular because of there beauty. However Phi Phi Island is not accessible for snorkelling tours at this moment. Is now opened again. WKT do have clients on this tour. 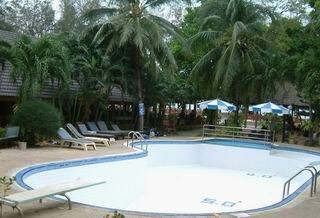 The Swimming pool at Phuket Island View Resort is now emptied for salt water. The Swimming pool at Phuket Island View Once again the pool is filed with clean water and visitors are relaxing in the shade. 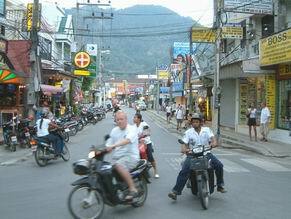 We would like to receive charming little story’s and pictures from people already in Phuket. Keep on visiting tropical South Thailand. 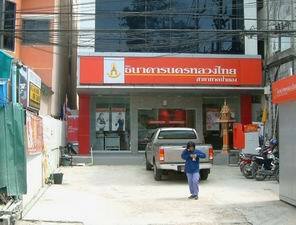 72 Nanai Road, Kathu, Patong, Phuket 83150 – Thailand.